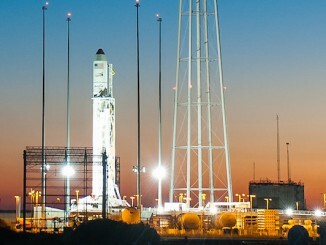 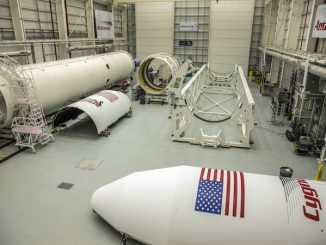 An Antares rocket is being prepared for launch for the first time in two years after emerging from the Horizontal Integration Facility at Wallops Island, Virginia, on Thursday evening for a one-mile trip to the launch pad. 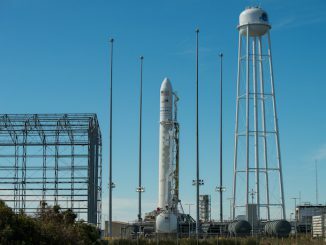 Engineers erected a commercial Antares rocket vertical on its launch pad on Virginia’s Eastern Shore Friday, positioning the 13-story booster for liftoff Sunday night with more than 5,000 pounds of supplies and experiments for the International Space Station. 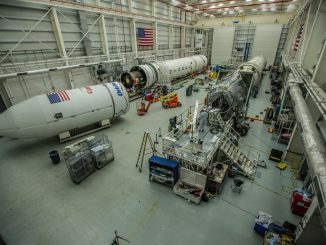 The threat from Hurricane Nicole churning toward a tracking station in Bermuda will keep Orbital ATK’s Antares rocket from launching on a space station cargo run until at least Sunday, officials said Tuesday. 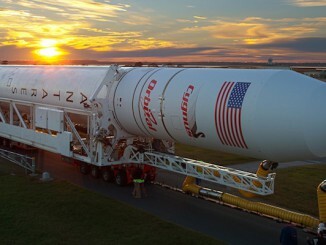 The debut launch of an upgraded version of Orbital ATK’s Antares rocket has slipped to Friday after ground teams resolved a minor vehicle issue and made emergency preparations for Hurricane Matthew, which bypassed the Antares launch site on Virginia’s Eastern Shore this weekend. 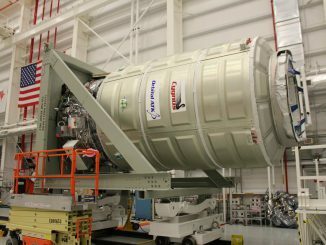 Orbital ATK ground crews in Virginia are fueling the next Cygnus cargo freighter this week for launch toward the International Space Station in mid-October on the first flight of the company’s upgraded Antares rocket in two years. 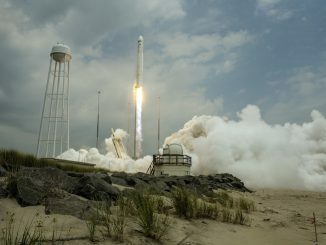 The first launch of Orbital ATK’s redesigned Antares rocket since an engine failure doomed a mission in 2014 will likely be delayed more than one month until August to complete analysis of data acquired during a first stage hotfire test, officials said. 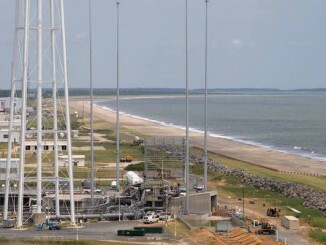 Repair crews in Virginia have restored the Antares booster’s launch pad — damaged in an explosive rocket crash nearly one year ago — to flight-ready status as the Orbital ATK launcher moves toward a return-to-flight in 2016. 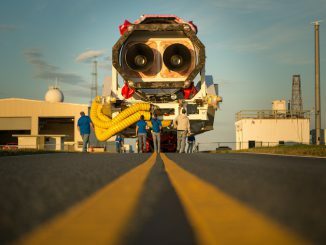 The first pair of new Russian main engines for Orbital ATK’s modernized Antares rocket has arrived at the company’s Virginia launch base as engineers prepare to return the commercial booster to flight after a catastrophic failure last year.